3-Piece Quilt Set Just $40.64! Down From $80! PLUS FREE Shipping! You are here: Home / Great Deals / Amazon Deals / 3-Piece Quilt Set Just $40.64! Down From $80! PLUS FREE Shipping! Hurry over to Amazon to get this 3-Piece Quilt Set for just $40.64 down from $79.99 PLUS FREE shipping! Reinvent your room with the Caroline quilt set by Lavish Home. Add flare to any bedroom with bold patterns and bright colors. 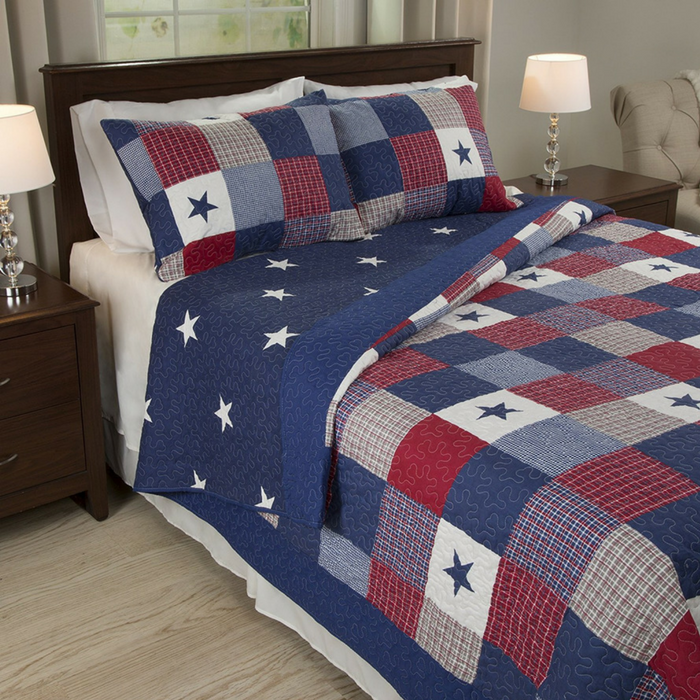 The soft microfiber patchwork quilt features classic stars and stripes and trendy plaid patterns in the patriotic colors of red, white and blue. Includes two king size shams in the same bold print.